Most people want to improve or at least maintain their brain function. We all know that dementia and Alzheimer’s disease are out there, and none of us wants to fall victim to either one. Some of us want to take the extra step and actually boost brainpower so that we can feel like we’re thinking more sharply throughout the day. However, what we want and what we do are often two different things. According to a survey by nonprofit organization AARP, while 98 percent of respondents said maintaining and improving brain health was very or somewhat important, only about half admitted to participating in activities that help protect cognitive health. Meanwhile, nearly four in 10 stated they had noticed a decline in their ability to remember things during the past five years. Sometimes, the problem is that we really don’t know what sort of things to do to promote brain health. We think that playing puzzles or games will do the trick but, actually, there is little evidence those activities help. 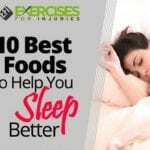 There are, however, at least 10 things that are linked with boosting brainpower and promoting optimal brain functioning, and we’ve got them for you here. One thing we forget when we’re thinking about brain function is that the brain is an organ, much like the heart, lungs and liver. It is made up of a soft mass of supportive tissues and nerves that are connected to the spinal cord. Some of these nerves go out to the eyes and ears while others connect the brain through the spinal cord to our muscles, other organs and other nerves. We tend to think of the brain as a computer, managing our personality and our physical health at the same time, but it’s important to remember that the brain is tissue, blood and nerves, just like the rest of the body. Thus, it benefits from the same sorts of healthy habits that serve the heart, lungs and stomach. National Geographic says the brain is a “jellylike mass of fat and protein weighing about 3 pounds.” In that mass of fat and protein are about 100 billion nerve cells that regulate everything from digestion to breathing to our physical actions and thoughts. The nerve cells are called “neurons,” and they send and receive electrochemical signals via a network of millions of nerve fibers. The brain is also sensitive — three tough membranes and the surrounding skull protect it. However, it’s still nourished by the same blood that circulates through the rest of your body, so what’s in that blood can make a big difference in how well your brain functions. Below find 10 activities that have shown in research to help maintain and improve brain health and function. This one is listed first for a reason — it may be the one best thing you can do for your brain. Research shows that every time you use your muscles, you also help your mind. 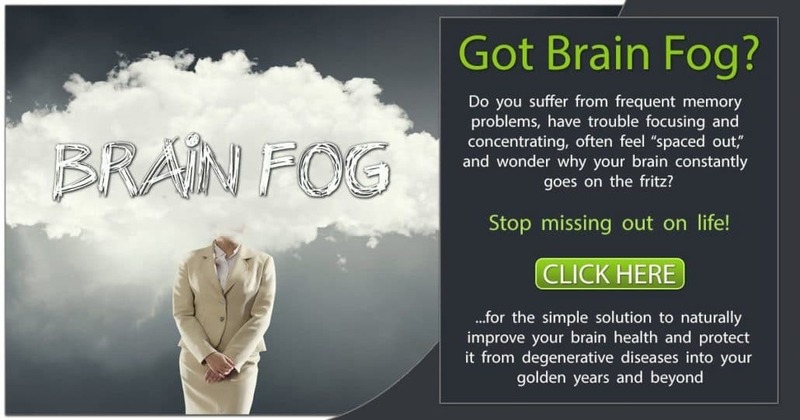 You get oxygen-rich blood into the brain, which improves your thinking power, and you help stimulate the development of new nerve cells while increasing connections between brain cells. A number of studies have shown that exercise is key to long-term brain health. Regular aerobic exercise helps boost the size of the hippocampus, the area of the brain involved in verbal memory and learning. Exercise also helps lower blood pressure and reduces inflammation, both of which can be just as damaging to the brain as they are to the heart. Remember that your brain survives on blood supply, and good nutrition improves the quality of your blood. A good diet also keeps your heart healthy that, in turn, helps support a healthy brain. In a 2017 study, researchers found that both the Mediterranean and the MIND diets were linked to lower risk for memory problems in older adults. The Mediterranean diet is rich in fruits, vegetables, whole grains, beans, nuts, olive oil and fish. The MIND diet is similar and focuses on brain-healthy foods like leafy green veggies, nuts, berries, beans, whole grains, seafood, olive oil, poultry and wine. Fernando Gómez-Pinilla, a UCLA professor neurosurgery and physiological science, says that food is “like a pharmaceutical compound that affects the brain.” He analyzed more than 160 studies on food and the brain and reported that specific nutrients can definitely affect cognitive processes and emotions. Other research shows that food can affect cognitive aging as well. You know you feel your most alert and focused when you get enough sleep. Studies have found that sleep is critical to brain health as it’s during sleep that the brain actually cleans house. According to a study funded by the National Institutes of Health, a good night’s sleep literally clears the mind. Researchers found that the space between brain cells increases during sleep, allowing the brain to use cerebrospinal fluid to flush out the toxins that build up while you’re awake. This cleansing process not only helps maintain optimal brain health and functioning but may also reduce the risk of Alzheimer’s. Sleep deprivation has also been found to increase the risk of obesity, cardiovascular disease and stroke, all of which can negatively affect brain function. In addition, lack of sleep can negatively affect decision-making and problem-solving in your day-to-day life. So, if you want to be at your best, be sure to get the recommended seven to eight hours of sleep per night. You’ve heard that probiotics like those in yogurt are “friendly” bacteria that can help improve digestion and boost your immune system. We all have both good and bacteria in our guts, and if the bad bacteria get the edge, our health can suffer. There are many things that can affect the number of good bacteria that are present in your “microbiome” as it’s called, including antibiotics. Whenever you take antibiotics, they clear out both the good and bad bacteria, which can throw the balance out of whack. If you’re not getting enough prebiotics, which feed probiotics, you can also have an unhealthy balance. Too much alcohol decreases the number of beneficial gut bacteria as does cigarette smoking, not getting enough sleep and too much stress. When you start to get low on your friendly bacteria, your brain can suffer too. Studies have found that bacteria ingested in food can affect brain function. Women who regularly consumed probiotics through yogurt, for example, showed positive changes in various areas of the brain as seen through MRI scans. In a 2017 study, researchers acknowledged the “gut-brain axis,” which is the communication network between the gastrointestinal tract and central nervous system. Changes in the microbiome, they continued, had been linked to psychiatric disorders like depression. They then reviewed 10 studies on probiotics and depression and found compelling evidence that probiotics can help alleviate the symptoms. Staying in touch with your friends and spending time with your family can help keep your brain working optimally. Research suggests that maintaining those social bonds as you age, and staying active in social activities can help delay the onset of dementia or Alzheimer’s. In a 2008 study, researchers found that women with larger social networks were 26 percent less likely to develop dementia than those with smaller social networks. Even those with Alzheimer’s maintained better cognitive function if they had larger social networks. Scientists think that when we are in the company of others, the brain gets more oxytocin, which is the bonding hormone, as well as dopamine and serotonin, all of which increase the sense of well-being. These hormones help counteract the negative effects of stress, and lower levels of the stress hormone cortisol. The less cortisol, the more the brain’s nerve cells can forge connections in the brain, improving overall function. Meditation can actually change the way the brain works for the better. Studies show that those who meditate regularly actually have more gray matter, which means more nerve activity and better performance. 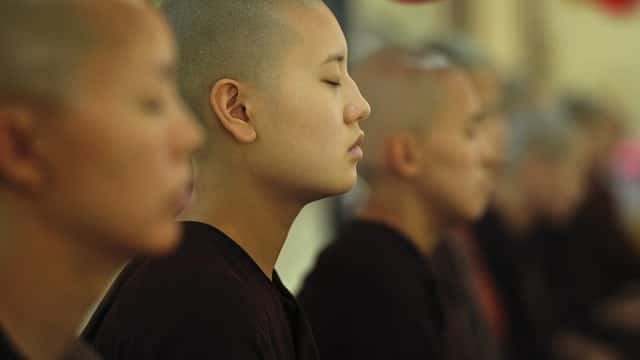 Both the insula, which is associated with the integration of thoughts, and the prefrontal cortex, which handles working memory and fluid intelligence, were thicker in gray matter in those who meditated than in those who didn’t. In other studies, those who took classes in meditation showed increases in gray matter in areas of the brain associated with focus, empathy and compassion. The hippocampus got bigger while the amygdala, which is associated with anxiety, got smaller. Other studies have found that practicing yoga and mindfulness meditation together helped significantly improve brain function and energy levels. Just 25 minutes of hatha yoga or mindfulness meditation per day boosted the brain’s executive functions, which are cognitive abilities linked to goal-directed behavior and the ability to control knee-jerk reactions. You want to keep both your blood sugar and your blood pressure under control for your cardiovascular health, but your brain benefits from normal levels as well. High blood pressure, for example, affects the way the blood flows through the brain, which worsens cognitive health. In a 2010 study, researchers found that hypertension was associated with decreased performance in executive function and attention. They also noted that cardiovascular disease in midlife could create multiple conditions later in life that would increase the risk of cognitive decline. They concluded that the evidence supports a strong link between blood pressure and cognition and added that treating high blood pressure could protect the brain. The American Heart Association agrees that high blood pressure, particularly in middle age, is associated with an increased risk of cognitive impairment later in life. High blood sugar as well, such as that which occurs in diabetes, can also damage the brain. In a 2009 study, researchers found a link between high blood sugar and problems with thinking and memory. Even low levels of blood sugar elevation can affect cognitive function. Researchers think that the extra glucose in the blood damages small arteries in the brain and also disrupts communication pathways. Whereas crossword puzzles may not help much, learning something new definitely will. If you’ve never learned the play the piano, for example, starting lessons could help improve brain function. So could take a class in photography, learning a new language or requiring yourself to memorize a short poem each day. Evidence shows that whenever you step outside your comfort zone and learn something new, the size and structure of the neurons in your brain actually change. Scientists used to believe that once you reached adulthood, the brain stopped growing and changing but recent research has proven that theory wrong. Instead, the process of learning and acquiring new experiences have been found to stimulate new cell growth even in late adulthood. In one study of adults aged 60 to 90, those who were assigned to learn a complex skill like photography or quilting showed wide-range improvement in memory compared with those who just did crossword puzzles. Other research has found that continually learning new skills activated working memory and reasoning while enhancing cognitive function in older adults. You already know that positive emotions are better for your heart health than negative ones. The same is true for brain health. Research shows that positive emotions like happiness, joy, contentment and enthusiasm, improve several aspects of cognitive function like memory, judgment, decision-making, flexibility and creativity. Scientists think that positive emotions increase the ability to think flexibly and to see relationships between various experiences and objects while improving problem-solving. Positive emotions also increase the release of good-mood neurotransmitters that are associated with cognitive processing. Of course, you can’t pretend to feel great if you don’t. The key is to learn to process negative emotions through activities like exercise, journaling, therapy and others to move them through your body and out so you can experience real positive emotions again. Omega-3 fatty acids: These fatty acids, particularly docosahexaenoic acid (DHA), are essential for healthy brain function. The body doesn’t produce these nutrients, so you have to get them from your diet. Consume more fish, liver, walnuts and flaxseed or consider a fish-oil supplement. Vitamin D: This nutrient is critical for nerve growth in the brain, so be sure you’re getting enough, either through safe sun exposure or supplements. Vitamin B12: Studies have found that those who are deficient in this nutrient are more likely to score lower on cognitive tests, and to have a smaller brain volume. We don’t absorb this nutrient as well as we age, so be sure to check with your doctor, and consider supplements if needed. The nutrient is found naturally only in animal foods, including seafood, beef, chicken, pork, milk and eggs.